Like his guitar work in his previous bands, “Enters” is filled with math rock noodling through pretty chord progressions. The largely acoustic guitar and string arrangement-led track is most reminiscent of fellow Cap’n Jazz member Mike Kinsella‘s work in Owen, but when the vocals finally come in at the end, he reveals a much starker voice than Owen’s brokenhearted throb. 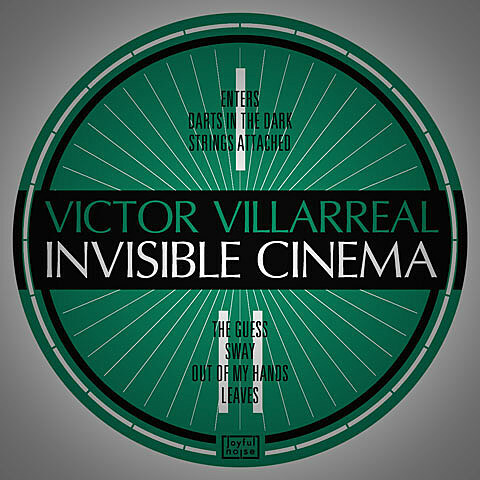 Pre-order Invisible Cinema now, and check out its tracklisting below. Villarreal will kick off a month-long run with Meryll on January 20th, at Mike & Molly’s in Champaign. The following day, he’ll play a 5PM instore at Reckless Records and then at Panchos that night with Meryll, A Tundra, and White/Light. Tickets are on sale now. His final in-state show will be on January 27th, at Owen Pye’s in Lebanon (which is about 5-hours outside of Chicago). In support of the full tour, he’s launched a Kickstarter campaign to help with its costs. At the time of this post, the campaign has hit $730 of his $1,900 goal (with 17 backers). Invisible Cinema‘s tracklisting, a song stream, and all 2012 tour dates, below..